The main purpose of this special issue is to address two of the most important transdisciplinary intellectual activities that have been addressed mostly in disciplinary contexts and not always as related ones: Research and Design. Consequently, the two main objectives of this special issue are 1) to provide a support for interdisciplinary written communication on the notions of Research and Design in Science, Engineering, Architecture, Technology, and Art and/or 2) to foster intellectual reflections and reflexions on the relationships between them. Abstract Submissions: September 30, 2018. To submit an abstract, please, click here. Notification to authors regarding abstract acceptance: within a week after the abstract has been submitted. Consequently, authors of early submitted abstracts will have more time for submitting the full paper. Full paper submissions for the accepted abstracts: December 7, 2018. Notification to authors regarding full paper acceptance: January 15, 2019. Submission of final version of the full paper: February 13, 2019. Finalization of editing processes: February 28, 2019. Publication of the Special Issue: By the end of April 2019. Authors of the best 50% of the published articles in this special issue will be invited, in 2019, to write extended papers, as chapters in printed multi-author book, with no additional cost. For your contribution as a reviewer of this special issue, please send your short CV and and the URL of your institutional home page to jsci[AT]iiis.org . These data area required for the respective process of validation and verification. The list of reviewers, who made at least one review for this special issue of the journal will be included in it, right after the list of its Editorial Board. The abstract should briefly describe, at least,: 1) What the article is about and what relationships has with the titles or purpose of the special issue, 2) Why it is intellectually important and/or is, might be, or has been pragmatically useful, and 3) How the results were achieved (e.g., naming or briefly describing the method or methodology used in the research or study). More details regarding these three important structural points should be provided in the introduction section of the full article, if the abstract is accepted and/or in any of its following sections. All manuscripts must be in legible English. When potential authors submit their abstracts are simultaneously expressing their commitment to write the full paper and to upload the final version of the full paper if it is accepted by the authors. It is an ethical responsibility of any potential author to respect the time of the academic, researchers, and professionals who volunteered to review their respective paper. Dr. Jeremy Horne, President-Emeritus of the Southwest Area Division, American Association for the Advancement of Science (AAAS), USA. Dr. Jill Anne O'Sullivan, Chairperson, Computer Systems Department, Farmingdale State College (State University of New York), USA. Dr. Nagib Callaos, Founding President of the International Institute of Informatics and Systemics, USA. Former Dean of Research at the University Simón Bolívar, Venezuela. JSCI has been publishing, since 2003 (bimonthly issues), the best 20%-35%, of the articles presented at the IIIS conferences which are selected by the audience as the best ones in the sessions where they were presented. This means that the published articles are having three different mandatory peer reviewing processes: our two tier reviewing methodology and the selection made by the conference audiences. - Our statistics show more than 900 000 page views and 300 000 unique visitors a month to DOAJ from all over the world. - Many aggregators, databases, libraries, publishers and search portals collect our free metadata and include it in their products. Examples are Scopus, Serial Solutions and EBSCO. - DOAJ is OAI compliant and once an article is in DOAJ, it is automatically harvestable. - DOAJ is OpenURL compliant and once an article is in DOAJ, it is automatically linkable. We are supplying our Journal’s meta-data to DOAJ; which is frequently referenced as a white list for electronic open access journals. We will supply the meta-data of this special issue, as well. The Article Processing Charge (APC) for this special issue will be $500, i.e. the 50% of the minimum reported by 2001, and about the 35% of minimum reported by 2005, according to reputable scholars, when referring to peer-reviewed journals of not-for-profit scholarly associations. This will be feasible thanks to the sponsorship of the International Institute of Informatics and Systemics. More details are giving below. While many articles and several books have been written on 1) “Research”, 2) “Design”, 3) “Research Design”, 2) and “Design Research”, almost none has been written on the relationships among them. The purpose of the above mentioned Special Issue of the Journal of Systemics, Cybernetics and Informatics (JSCI) is oriented to each one of the four terms mentioned above and to the actual and potential relationships among them. Articles focused on “Design” or “Research” notions, concepts, and methodologies are welcome, as well. But any article on any of the topics suggested below will have more probability of being accepted in the first phase of the submission process (internal reviews of extended abstracts), if there is explicit mention of the actual or potential relationships with any of the other sets of topics of the four mentioned above (at the beginning of this paragraph). Case Studies and/or description of specific cases, related to any of the topics given below, are welcomed as long as they are explicitly related to the purpose of this JSCI’s special issue, i.e. explicitly showing its relationships with any other above four above indicated sets of topics. A quick Google search shows that there are 12,700,000 results on “Design Research”; 5,130,000 results on “Research Design”, i.e. number of articles on, or mentioning the phrase; while just 8 results for " Design Research and Research Design" and only ONE result for "Research Design and Design Research", which is part of the title of this special article. This means that just 0.00005% of the searched web pages, on these two important topics, mention explicitly any relationships among them. This lack of written communications regarding the significant relationships between these two important fields is what this special issue is attempting to address, as a first step toward fostering more publications on these potential consequential relationships. Consequently, as we described above, the main general purpose of this Special Issue of the Journal is to foster reflections and reflexions on the actual and/or potential relationships between these two important knowledge fields in order to start a process of written communications on both fields as related to each other. Research and Design relate to each other, via Systemic (not necessarily systematic relationships), and to potential cybernetics, via co-regulatory (negative feedback and feed-forward) and co- reinforcing (additive or multiplicative positive feedback) loops. 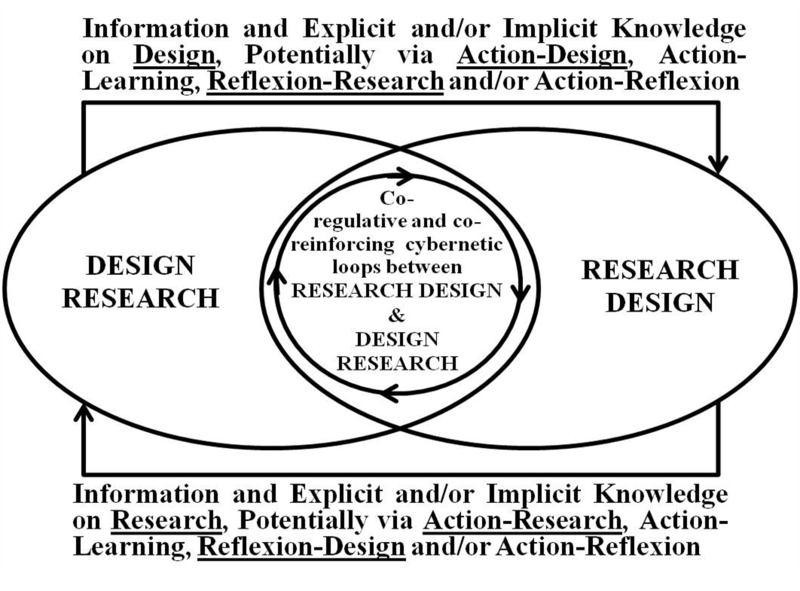 Figure 1 shows a diagram relating to the notions (set of concepts[ii]) of Research and Design. As we showed above, “Research Design” and “Design Research” are two fields in which many research and practice-based reflections and reflexions have been made; but, in spite of being closely related, the respective publications have been made for different audiences or readers. As these two knowledge fields are connected, at least implicitly, the purpose of this special issue of the journal is to relate them and to foster their relationships among their readers, at least, via written communications. This is especially important because both areas, being transdisciplinary, allow also for interdisciplinary communications, which are so important for interdisciplinary research and multidisciplinary systems and process designs. Since any research plans or activities have, at least implicitly, a design and vice versa, a more representative figure of their relationships and processes and activities is given in figure 2. The pupose of this section is to provide more details regarding the very brief section above related to the APC, and to provide the link for a much more details addressing this issue and reasoning why our APC is the lowest one ever reported in journals with rigorous Perr Reviwing. Our journal has been announcing, since its first issue, both: its peer reviewing methodology and its acceptance policy, which is not frequently published, even in reputable journals. Since 2005 we have implemented auditory tracks for quality assurance; which allow us to verify that the pair announced reviewing methodology and acceptance policy are being followed. As we informed above, the Article Processing Charge (APC) for this special issue will be $500, i.e. the 50% of the minimum reported by 2001, and about the 35% of the minimum reported by 2005, according to reputable scholars when referring to peer-reviewed journals. This will be feasible thanks to the sponsorship of the International Institute of Informatics and Systemics. More details regarding the costs and revenues of open access journals can be found in the article “Costs, Prices, and Revenues in Journal Publishing” posted at http://www.iiisci.org/journal/sci/Costs.pdf. Below, we will provide a summary based on texts extracted from the mentioned articles. Authors of the best 50% of the published articles in this special issue will be invited to write extended papers, as chapters in printed multi-author book, with no additional cost; which will be distributed via Amazon, Barnes & Noble and other online outlets, as well as via IIIS´s conferences and announcement to its 6,000 members and to its about 18,000 reviewers. This book will have a very low price ($ 15 - $30) in order to maximize its potential readership. Below, we will present a very brief summary of peer-reviewed journal’s APC associated with “for-profit” and “not-for-profit” organizations. The latters are basically scholarly associations. $10,000-$20,000 per article, as revenue of the “high-end” commercial publishers. $4000 per article as an aggregate average of the revenue of different kinds of publishers (based on a study made by Odlyzco regarding Mathematical and Computer Science journals). Ginsberg asserted as a conclusion that “eliminating the print product, and by restructuring the workflow to take greater advantage of electronically facilitated efficiencies, it is likely that the costs of a relatively large existing publisher could be brought down closer to $1000 per article... We can also ask whether an idealistic electronic start-up venture, without the legacy problems of an existing publisher, might be even more efficient. At least one such in physics, currently publishing about 700 articles per year, operates in the $500/article range…But private communication suggests that this number is likely to creep upward rather than downward, as some of the volunteer labor from initial enthusiasm is replaced by paid labor, and salaries for existing labor are adjusted to competitive levels for retention, so the costs might also move closer to the $1000/article published range.” Ginsparg made the conclusion that “costs on the order of some irreducible $1000 per peer-reviewed published article should be expected, using current methodology” for electronic publishing with no print product (emphasis added). This special issue will have as APC the 50% of the minimum cost reported by 2001, according to reputable authors such as Ginspark, who have also extensive experience in founding and managing the maintenance of arXiv. This will be feasible thanks to the sponsorship of the International Institute of Informatics and Systemics. According to the succinct summary we made above, the main themes and non-exclusionary topics of this Special Issue of the Journal are as follows. It is recommended for each topic to orient the article toward any of the three most important general questions, and to be explicit about them: What? Why? How? An article can focus on any of these questions, but it is highly advisable to be explicit about the other two, even if it is made in a highly summarized form. Submissions on specific cases (i.g., case reports or studies) are accepted as long as they are explicitly related 1) to any of the following topics, 2) to the Transdisciplinary Topic of this special issue, and/or 3) to associations between Research and Design. The text used to make these explicit relationships should represent, at least, a 15% of the complete articles, especially at the beginning (abstract or introduction) and at the end of the article (e.g., in the conclusion section of the article). Systemic and/or more systematic design of disciplinary scientific methods. Research and Action: Research for Effective Action, Research via Consulting, Consulting via Research. Personal, Organizational and Social Development via Research. Research and Writing: Writing as Conversation; Research via Writing and Writing as Conversation for Personal and/or Collective Research. Is it Possible to Design Methodologies and/or Supporting Information Systems Platform for Collective Writing? The importance of Interdisciplinary Research for the Design of Multidisciplinary Systems and for Identifying Solutions to Real-life problems. Collective, Collaborative or Group Design. Collective Science Redesign? Self-Redesign? Design and Culture: culturally based design and/or Design Culture. Potential authors might suggest topics on explicit, linear or non-linear, relationships between "Research Design" and "Design Research", as those suggested in the diagrams above or on any other kind of relationship(s). [i] To avoid self-plagiarism the article to be published in the proceedings should inform the reader that the paper was initially published in the journal, which might be done as a footnote in the first page of the article version to be published in the proceedings. [iii] At least one full article will be written regarding what has been succinctly summarized above. Other articles might emerge as collaborative ones.